Some argue that having ‘aspirational’ body standards is not necessarily a bad thing, while others think that super-think bikini models project a body image which is impossible to live up to, and is ultimately psychologically harmful to women across the world. 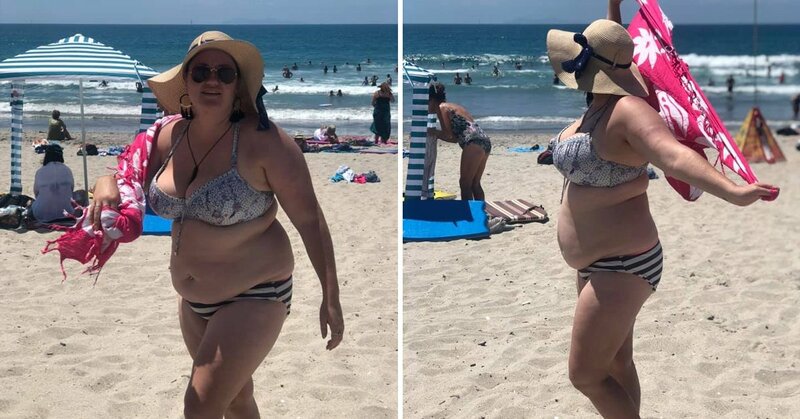 One person who is definitely in the latter camp is Shelley Proebstel, who was visiting Mount Maunganui Beach with her friend on January 12, when she was apparently the recipient of some very unwanted attention from a group of mean-spirited men. When the men laughed at her physique, Shelley had a couple of options: Be shamed into covering up, continue with her day emotionally unscathed, or turn the horrible incident into a positive. The New Zealand blogger opted for the latter, much to the delight of her online followers. Shelley went onto document all the nasty consequences of body shaming people. Particularly, she spoke as to how it can affect women. “It’s because of d*ckheads like you that people are so incredibly insecure about their body image. “It’s because of people like you that people wear long sleeves all year round because they are scared to show their arms. That last comment was certainly controversial, but it’s clear that Shelley feels passionately about the subject, along with her followers who were very supportive. The post resonated with a number of her fans and has since garnered hundreds of likes on Facebook, as well as a deluge of supportive comments for the blogger’s desire to speak out and normalize all body types. On the other hand, there were some who accused Shelley of promoting an unhealthy lifestyle, having assumed the blogger was not healthy due to her weight. She explained that she does yoga, walks long distances with her dogs, does dance classes and works out in the gym three times a week. It’s really unpleasant when strangers make others feel unwelcome just because of the way they look. I hope it doesn’t happen again.